Since its introduction almost 20 years ago, The Special-II has been a favorite of countless musicians with its combination of classic Les Paul features, great tone and affordability. Now, Epiphone puts a new twist on this classic with the NEW Special-II GT. Like the Special-II, this is a full-on, in- your-face rockin' machine with all the same features (and more!) that you've come to expect from Epiphone. As with all Epiphones, the Special II GT comes with our Limited Lifetime Warranty and Gibson’s 24/7/365 Customer Service. Wrap it all up in a thin "worn" vintage style Black color finish with a price tag that any guitarist can afford and you've got a NEW Epiphone classic made just for you! 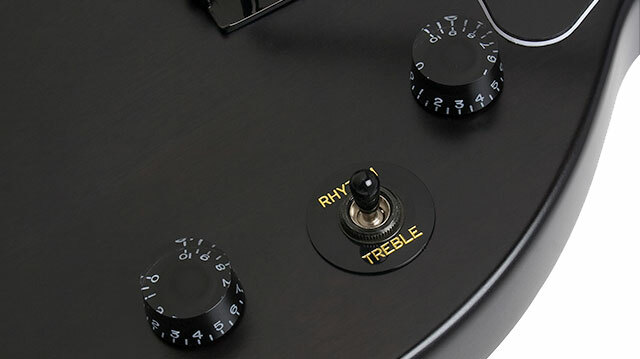 The Special II comes with a solid mahogany body cut to the classic lines of a Les Paul. The Hard maple neck, a favorite of many metal players including Zakk Wylde, has a SlimTaper™ profile and is a bolt-on design with a contoured heel for great playing comfort and security. The Special II has a fingerboard upgraded with pearloid parallelogram inlays and 22 medium-jumbo frets. Wrap it all up in a thin "worn" Black color that feels vintage with a price tag that any guitarist can afford, and you've got a NEW Epiphone classic made just for you! 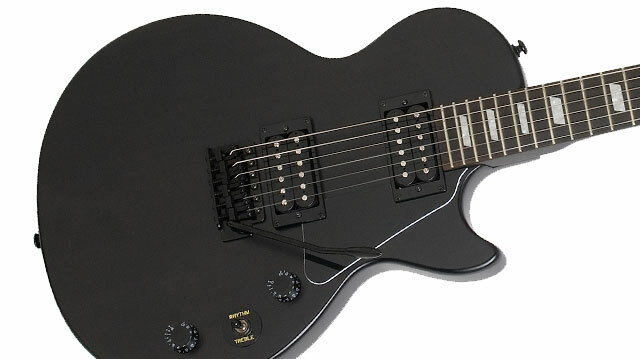 The Special II’s sizzle and snarl comes from Epiphone humbuckers with a 650R (neck) and 700T (bridge) pickup combo. 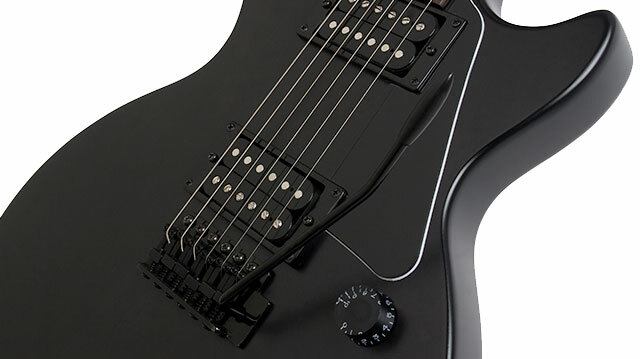 You'll be amazed how these U.S.A. designed pickups with high-output magnets provide spectacular highs with increased definition and no muddiness. The hotter and slightly over wound 700T bridge pickup is smooth but can give you a little extra scream or growl when you need it. Always an innovator, Epiphone has equipped the GT with a patent-applied-for combination Master Tone and KillSwitch. Operating just like an ordinary tone pot, if you push or "tap" it down, the KillSwitch mutes the output signal creating a cool effect (think Buckethead!) when combined with distortion. And is that a WHAMMY bar? Yes it is! Epiphone has equipped the new GT with a vintage style vibrato what allows you to bend strings and chords with ease. Together, the vibrato and KillSwitch™, lets you create amazing effects and all at a price that won't break your budget. The Special II features Epiphone’s LockTone™ Tune-o-matic Stopbar combination for re-stringing ease and increased sustain along with premium die-cast 14:1 ratio machine heads.